Ok, I have to do some backpeddling/crow eating now. I left a bowls worth of M79 for 24 hours to dry.. still wasn't remotely dry. Nuked it in the microwave for 10 seconds and that did it. I am about half way through it and it is completely different dried out to a crisp. I am still not getting anything floral from it, but it does taste like root beer burley. I don't love it, but I also don't hate it either and will probably bulk dry and smoke it. I don't know how anyone could smoke this stuff straight from the pouch though... vile. Oh well. Guess it just goes to show that even urinal cakes can taste good. Hey, in my defense, I am pretty sure the microwave cooked 90% of the casing off. By the time I hit bottom of the bowl, it just tasted like a plain mild burley. And I never said "good". I'd say it's just barely smokeable now. Sniffing the pouch still makes me dry heave. I just thought since M79 is about as contentious as religion, politics, and miracle whip, I'd be honest and say that it wasn't as bad as I first thought *IF* you get it drier that a bucket of sand. I have gotten root beer flavor from M79 as well. I bet if you smoked 1 bowl a day for a week you might like it. The bulk version is better. You might like Heine's Blend too. 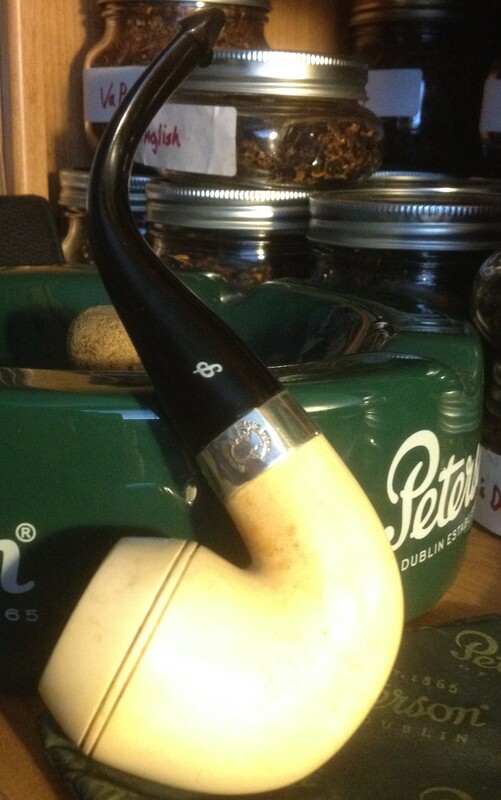 Well my new Peterson "Baskerville" Meer is taking her maiden voyage with some Dark Fired Mixture. 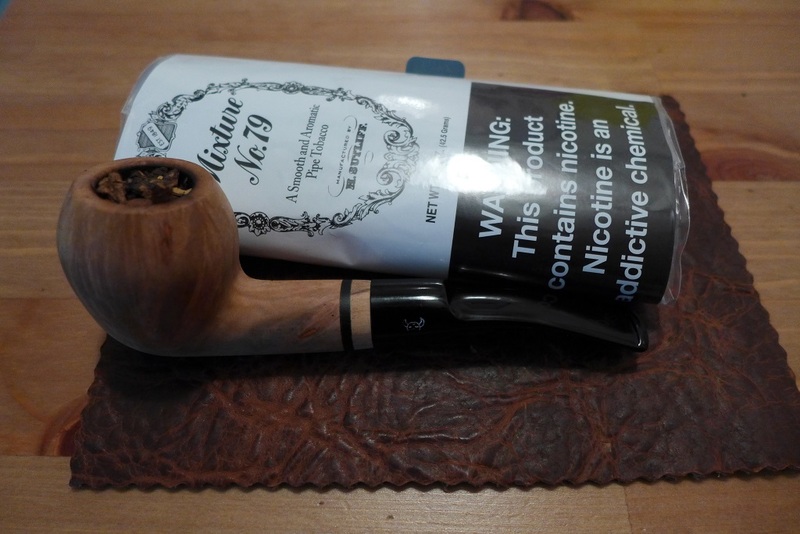 I can tell that the previous owner smoked heavy Latakia/English blends as there is definitely a ghostly presence in this pipe but luckily I really like Latakia. Also getting some floral Oriental notes as I get to the bottom of the bowl but I think that regular doses of a strong DFK blend will tame this spirit over time. So far she's smoking great just like all of my Holmes series pipes and I can see a new love affair developing. My wife just told me yesterday that she prefers straights over bents... welp, I guess the bents are for work then! Great looking pipe, is what I'm trying to say. 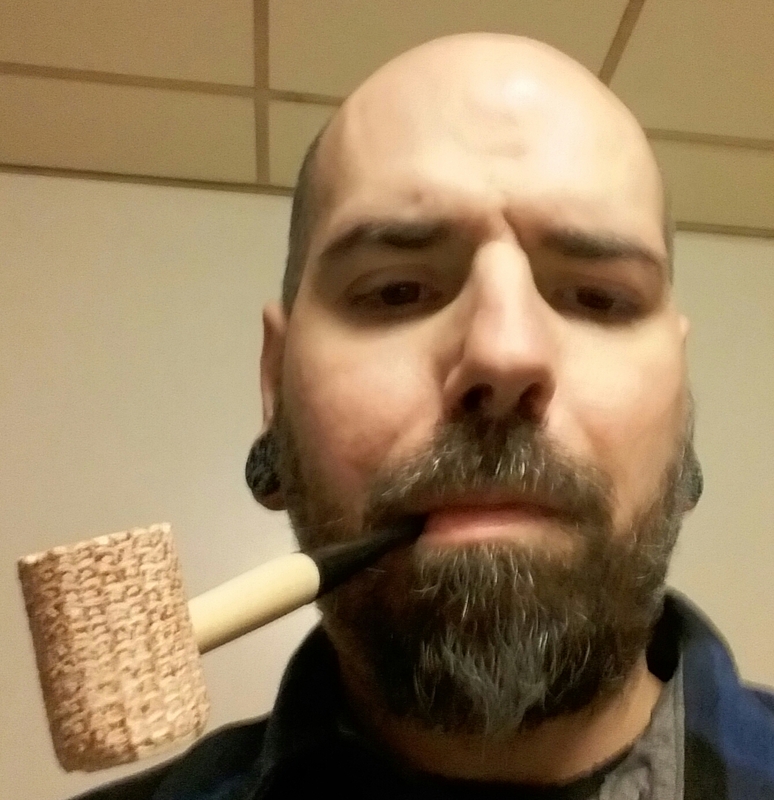 For me the shape of a pipe is a lot like clothing in that we choose the style based on how it looks on us and how it fits our personalities. Some guys are snappy dressers and wear a nice dress shirt and slacks every day whereas I personally am a cargo shorts/sneakers/ball cap kind of guy and will probably better dressed at my own funeral than at any other time in my earthly existence. 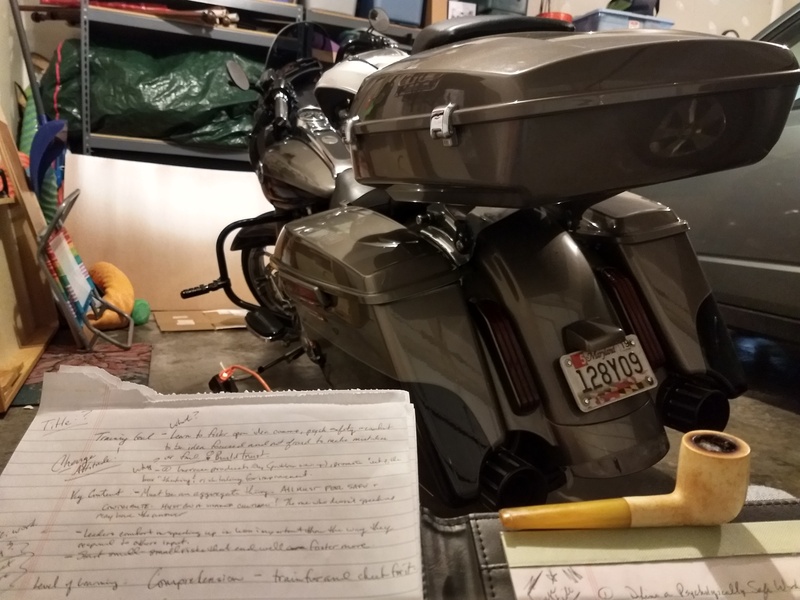 My pipes are almost all bent simply because I'm an "old school" kinda' guy who loves history (was a civil war reenactor for several years) and the classic pipe shapes have always caught my eye, they feel and look right to me based on my personality. 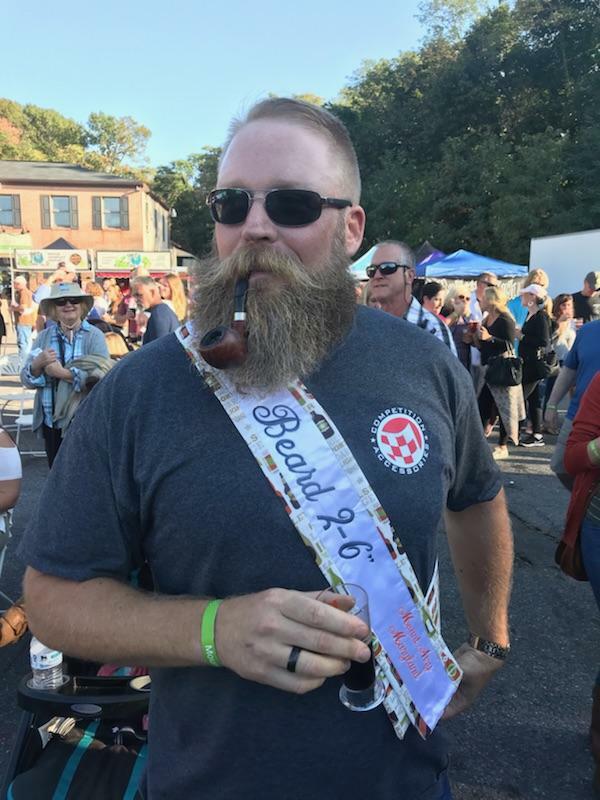 I also have usually had some kind of facial hair or even a full beard throughout my adult life and there's something about a bent pipe or even a "chin hugger" nestled in a mass of whiskers that looks good... to me. *cross-thread:. I lost 30lbs since this picture on a low carb/keto diet. English luxury in an Austrian meer while working and wishing for better weather!